Professor Lisa Jardine, academic, biographer and public thinker, is interviewed by Kirsty Young. 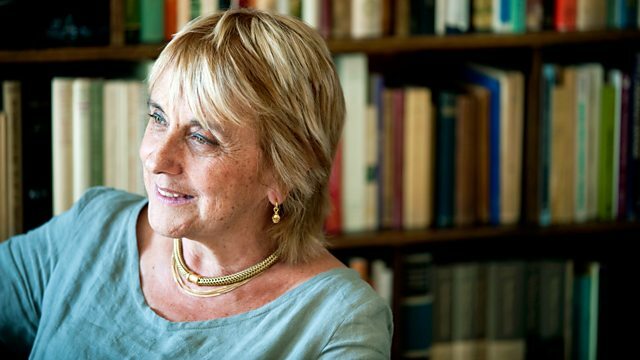 Professor Lisa Jardine, academic, biographer and public thinker, is interviewed by Kirsty Young for Desert Island Discs. Historian, biographer, public thinker, mathematician - her proclivities are wide ranging and well regarded with prize winning books on subjects as diverse as Sir Christopher Wren, Seventeenth century Holland, Erasmus and women in the time of Shakespeare. Her current day job is leading the Department of Renaissance Studies at University College London, she's also a prolific writer and broadcaster. If that all seems a little ivory tower for your tastes think again; as Chair of the Human Fertilisation and Embryology Authority for many years she was at the sharp end of the complex conundrums and high emotion that surround the artificial creation of life, leading the world in developing the legal framework that governs IVF treatment. Her rigour and originality, then, are greatly admired and both seem to have been in evidence since the beginning - her schoolgirl contemporaries had pictures of Elvis by their beds. Lisa had other ideas, as a teenager she gazed lovingly at a photo of a brilliant mathematician. She says: "I only do things I love, and I love everything I do ..."
Performer: Jacqueline du Pré. Performer: London Symphony Orchestra. Performer: John Barbirolli. Performer: Lotte Lenya. Performer: Turk Murphy. Performer: Orchestra of the Royal Opera House, Covent Garden. Performer: Richard Bonynge. Once In a Lifetime: The Best Of Talking Heads. Performer: Dorothea Röschmann. Performer: Vienna Philharmonic. Performer: Nikolaus Harnoncourt.